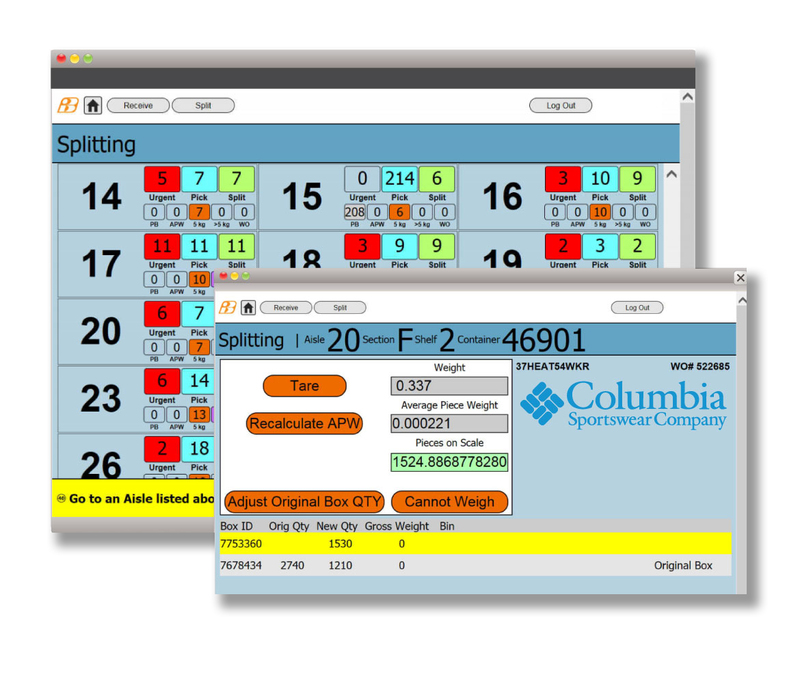 Inefficiencies in your trim ordering processes can cause you to lose money. Brand ID’s exclusive structured ordering process ensures that every efficiency, every cost-saving measure, is in place for you at every stage of the trim supply chain. Our Brand ID team will not only assist you in designing a streamlined trim ordering plan but will also manage the implementation of the plan through our employee and vendor onboarding process. This will result in you and your vendors being given access to and training on the use of our customized online ordering system. Orders placed through this real-time online system are executed in a timely manner by utilizing proprietary warehouse software and hardware systems. Your Brand ID team will collaboratively use their extensive experience to design, document, get your approval and implement the most efficient trim ordering process that meets your and your vendor’s trim supply chain requirements. The best system in the world is useless if you don’t know how to use it. 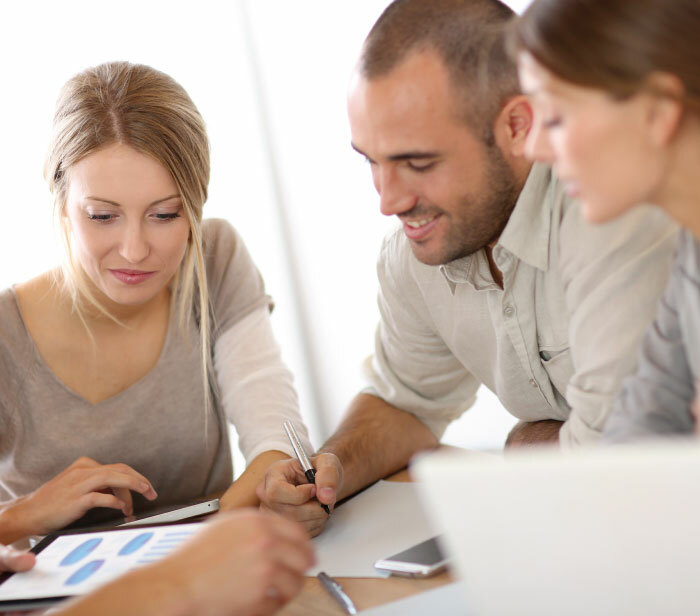 Our Customer Success Team will make sure that everyone is properly trained on SERO®, our exclusive order management system. Our training includes a brief, but comprehensive, introductory sessions, followed by access to written documents (in any language you need). We also offer more training sessions and are always here to assist with questions. 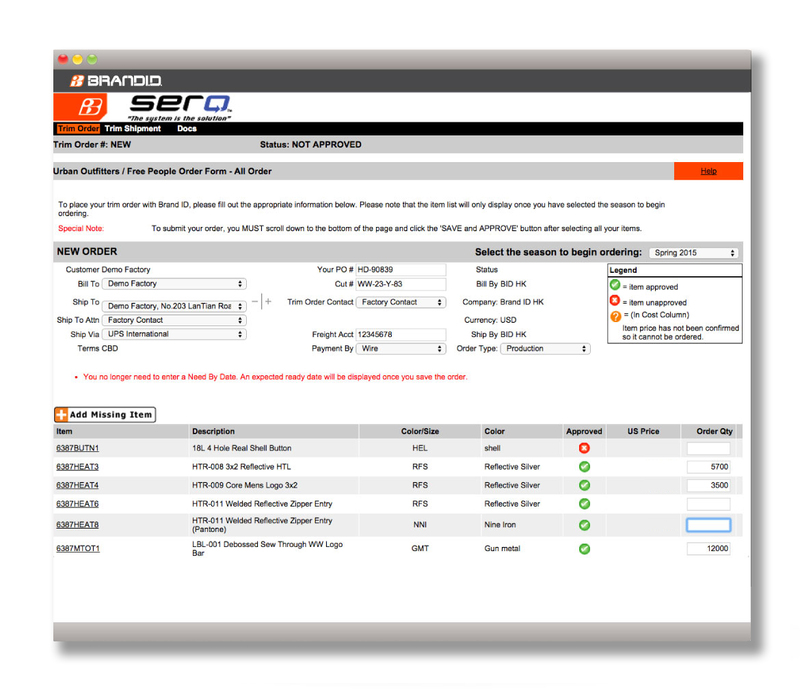 SERO® is Brand ID’s exclusive and proprietary order management system. With everyone in your trim ordering process able to use the same system, mistakes, misorders and misinformation can be avoided easily. Our proprietary inventory allocation algorithm uses priority rules for real-time allocation of inventory to orders. Priorities are rule based and can be easily customized according to you and your vendor requirements. The ability to make allocation adjustments on the fly gives your trim supply chain unparalleled agility and flexibility. All of this leads to fewer late orders and increased profits. Our customized warehouse management system, including exclusive software and hardware, allows us to turn trim inventory into shipped orders in record time. 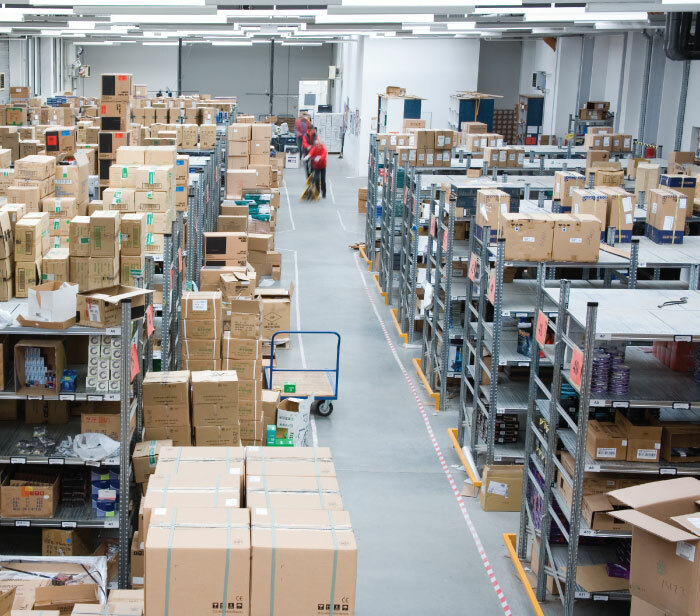 Our highly scalable warehouse operations are constantly monitored through the use of key performance indicators. Warehouse staff are continually striving to improve operations through refining processes and ongoing employee training programs. Each of the approaches mentioned above are designed to be part of a cohesive solution that delivers trim items on time. 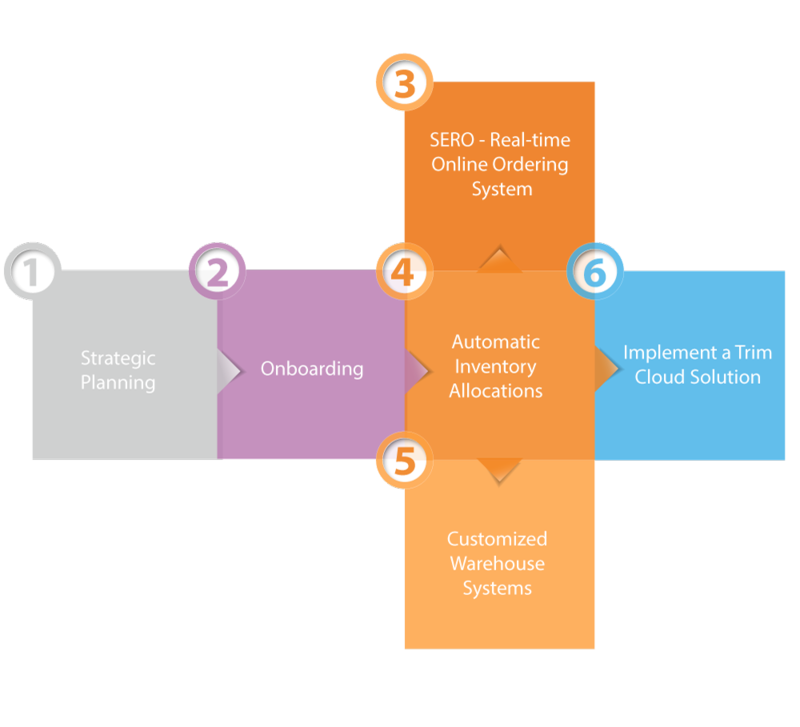 For customers that are looking to further reduce exposure to late orders, we encourage implementation of our industry first, automated, rules based, Trim Cloud solution. Our Trim Cloud solution will eliminate vendors ordering trims too late and reduce the impact of changing BOM’s on your supply chain. 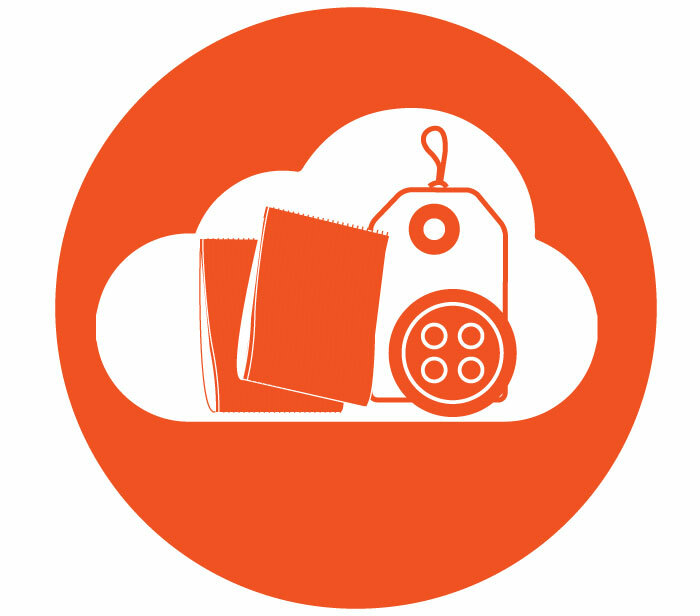 To learn more about our Trim Cloud solution click here.